What can your resumé possibly have in common with Michelangelo’s magnificent 4.3m-tall statue of David, the famous Biblical shepherd boy who slew the giant Goliath and became king? One of the most recognised works of Renaissance sculpture, the David — which resides in the Accademia Gallery in Florence, Italy — was created from a slab of marble between 1501 and 1504. Some 500 years later, Michelangelo’s masterpiece continues to awe people with its imposing size, beauty and sculptural details. Coming back to resumés, over the last 10 and more years, I have reviewed, written and edited resumés from all kinds of people — from managing directors, vice-presidents and professors to managers and engineers to taxi drivers and the unemployed. These encounters with a variety of resumés have revealed a paradoxical phenomenon: While everyone hopes to have a resumé that is as impressive as possible, most people, often with good qualifications and experience, end up producing resumés that fall short of being impressive. So what’s the problem and does it have anything to do with Michelangelo’s David? Think of your career history as a block of stone, and depending on how diligently, skilfully and authentically you work with the available details, you can either create a David — a resumé that wows — or settle for an ordinary product that can’t distinguish itself from the crowd. The choice is yours. To paraphrase Michelangelo, every career has a unique and impressive resumé inside it, and it is the task of the individual to discover it. Let’s look at each of these keys in detail. If you find that your resumé has elements that detract from these keys, the actions suggested below will help you to eliminate them — leaving your resumé stronger and more impressive. What’s the difference between the Google home page and that of many other browsers? Google has strategically kept its home page neat and simple. All you see is a search box in the middle of an all-white screen. In contrast, other homepages have news items, advertisements, dynamic images, videos, weather reports, toolbars and more, besides the search box. To make their resumé stand out, many people use features like page borders, dark-bordered tables, bold lettering, excessive capitalisation, fancy fonts, colourful and fancy graphics, etc. But all these bells and whistles make a resumé look messy rather than impressive. Add white space by ensuring good page margins and adding sufficient gaps between different sections in your resumé (basically, don’t cram things together). Graphics: Avoid fancy graphics like page borders, separation bars, and so on. Photos: Don’t use them, especially if they don’t make a point. Fonts: Avoid fancy fonts (use standard fonts), and use bold fonts, underlining and capitalisation sparingly. Density of content: Don’t squeeze too much content on a page; let if breathe with some white space. Bullets: Avoid fancy bullets and overly long lists of bullet points. This is a common problem with many resumés. To many people, these issues may appear trivial, but think about it: the contents of your resumé can only stand out against the contrast of available white space. 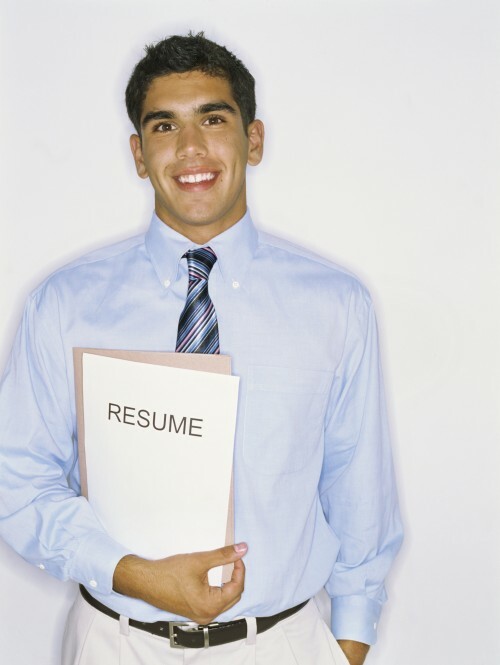 Resumé writing is not just about pouring in content, but also allowing that content to shine. The bottom line: To be impressive, keep things neat and simple.